I’ll bet you a #thousand bucks you do NOT know this about #Sharktank. | The Solar Nerd. 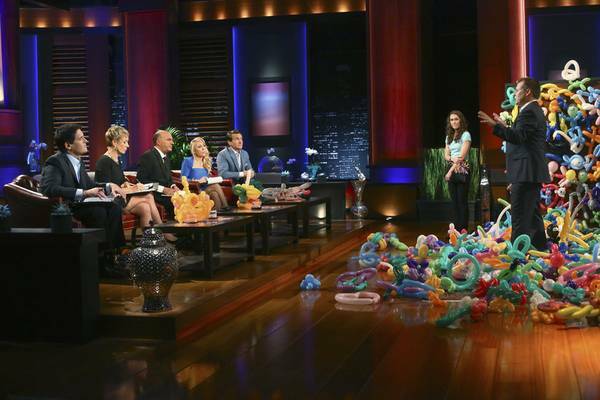 I’ll bet you a #thousand bucks you do NOT know this about #Sharktank. The businesses that pitch on ST can negotiate the percentage ownership up and down, but once they name a dollar amount they are not allowed to go BELOW that amount. When I pitched the sharks (episode #514) they were objecting to the dollar amount of my ask ($250,000) so I asked them if they would invest LESS for a smaller percentage. When I said this the producer interrupted the pitch and told me I was not allowed to do that. Of course, this was edited out… I was in front of the sharks for an hour, they edited it down to just 8 minutes! Thinking back I would have asked for a much smaller amount, like 50K for 10%, because the entrepreneurs that ask for smaller numbers seem to close more deals. 50K is pocket change to a billionaire like Mark Cuban, really. My advice to any business that pitches in season 6? Keep it small, below 100K, for at least 10% equity. There is tremendous value in going on the show even if you don’t get a deal, but there is additional value in partnering with the sharks. Even if a shark investor only puts in 50K you get the additional PR of the updates later on… it seems that the producers only do updates on the small percentage of investments that actually got a deal. ALSO, if you are high energy already, like me, do NOT follow the producers advice and act even crazier. I feel that if my pitch were a bit more low-key (and ZERO caffeine) I would have had a better shot at getting a deal. Oh well, I’m just glad that we got on and I’m thankful that the shows producers made the segment fun with the balloon drop. Founder of Balloon Distractions and Chief Twister! how do I get a deal on Shark Tank? ← The 4 levels of #Leadership. I read over the paperwork when I first applied, but do not recall finding this. There is a ton of paperwork that ABC sends over, so I’m sure it was one of the details that I missed. Hey Ben, whats you email…Id like to ask you some questions about your time in the tank!